I know and love many of the Arkansas Republicans that voted for this poor solution in Arkansas but my friend Dan Greenberg got it right in this article below when he takes them to task. As action to stop Obamacare languishes in Washington, the debate continues at the state level. Heritage is hosting a series of health care reports from our allies in the states to provide an up-close view of state-level action regarding Obamacare. The states play an important role in protecting citizens against this flawed federal health care law–from challenging the health care law before the Supreme Court, to resisting efforts to establish Obamacare exchanges or expand a failing Medicaid program, to offering alternative proposals that will ensure citizens are not left abandoned when the federal law collapses. Today, Dan Greenberg—President of the Advance Arkansas Institute—updates Foundry readers on developments in Arkansas. A bipartisan alliance succeeded in convincing the Arkansas legislature to expand Medicaid. That was because enough Republicans were won over by the legislation’s theoretically pro-market design. However, a closer look suggests a textbook case of a beautiful theory slain by ugly facts. Republican proponents of expansion claimed that the proposal was fundamentally different from a traditional Medicaid expansion, because it would enroll the new Medicaid clients in private insurance through the state’s Obamacare exchange. They dubbed it the “private option,” and argued that private plans would provide better care at lower cost. When the arrangement was first proposed, it was greeted with cautious optimism in some quarters. But that optimism predated the “Good Friday memo” from the U.S. Department of Health and Human Services, which clarified that any Medicaid expansion provided through private coverage would still have to conform to standard Medicaid benefit requirements and cost-sharing limitations. In plain English, the maneuver Arkansas was contemplating would gain the state no additional flexibility on benefits or cost sharing beyond the (very limited) scope allowed under current federal Medicaid rules. Thus, the notion that the “private option” could somehow produce significantly lower costs and better patient outcomes relative to traditional Medicaid became highly doubtful. At best, it would simply be a variant on the existing and common strategy of states contracting with private managed care companies to deliver Medicaid benefits. Yet, while the policy differences were vanishingly small, to the point of nonexistent, the rhetorical shift was enough for the pro-expansion forces to eke out a win in the end. Given that, it is worth deconstructing the rhetoric offered in support of the Arkansas plan. The expansion isn’t really an expansion. Medicaid expansion, explained Republican Representative Charlie Collins, “is dead.” The expansion that Republican lawmakers were crafting was supposedly categorically different. Collins argued that the “private option” would take hundreds of thousands of people off the Medicaid rolls. Yet the notion that clients who get their Medicaid benefits through a private plan are somehow not on the Medicaid rolls is as factually incorrect as saying that seniors who get their Medicare benefits through a private Medicare Advantage plan are magically not in Medicare. Reforming the state’s existing Medicaid program required expanding Medicaid to new enrollees. Private-option advocates argued that a number of taxpayer-friendly Medicaid reforms included in the legislation were part of the private option, implying that those reforms were an inseparable part of Medicaid expansion, but the need for joining these two measures was never explained. Indeed, at no point in the debate did the advocates offer to simply strip out the expansion provisions and then enact the other, meritorious reforms—such as new measures to detect and deter Medicaid fraud and abuse. Medicaid expansion was linked to tax relief and economic growth. Democratic Governor Mike Beebe claimed that the two were linked, while Republican Speaker of the House Davy Carter provided a more nuanced explanation suggesting that negotiations over tax relief were in conjunction with Medicaid expansion. Speaker Carter also appeared to argue that the private option would increase net state government revenue. Shortly after the votes for Medicaid expansion were secured in the House, multiple tax relief bills began to roll onto the House floor. Yet, after the votes for Medicaid expansion were secured in the Senate, most of those tax relief bills were immediately amended so that they would not take effect until future budget years. If there was, in fact, some deal between the Governor and the legislative leadership that tied tax relief to the Medicaid expansion, its terms were never made public. Arkansas could exit from expansion if federal promises weren’t kept. The legislation included provisions for the state to reverse the expansion if the federal government’s promised funding declined in the future. Setting aside the political question of how likely it is for politicians to terminate a government program—especially one that creates hundreds of thousands of new clients—once it has begun, there are also legal and constitutional questions about whether the contractual commitments that Medicaid expansion creates might make it a one-way street. To their credit, private-option advocates attempted to minimize the “Hotel California” problem with a last-minute amendment to their bill. Such statements are less analytical than rhetorical—and to those who understand the basic workings of Medicaid and Obamacare, they are unpersuasive. In any event, such statements were enough to let Governor Beebe achieve his goal of expanding Arkansas’s Medicaid program. Dan Greenberg, the President of the Advance Arkansas Institute, is both a former member of the Arkansas legislature and a former Heritage Foundation analyst. Will President give up any control of Medicaid program to the states? 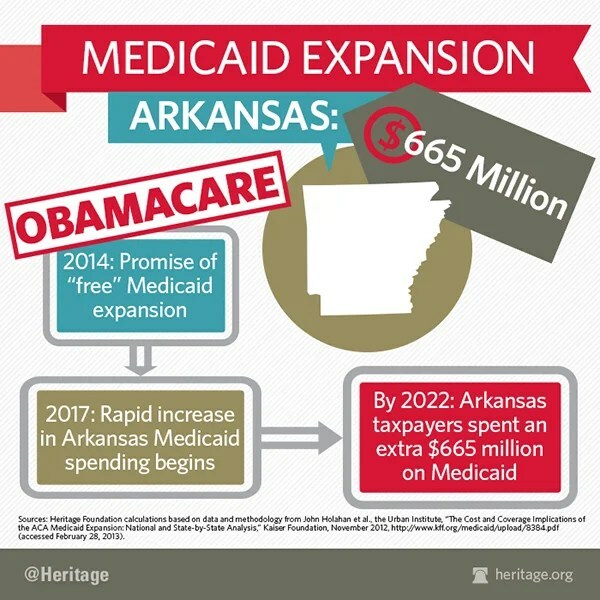 Arkansas should not take the federal Medicaid deal because the money is not free but we pay for it!!! 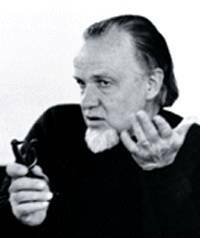 I love the works of Francis Schaeffer and I have been on the internet reading several blogs that talk about Schaeffer’s work and the work below by Denis Haack was really helpful. Schaeffer’s film series “How should we then live? Wikipedia notes, “According to Schaeffer, How Should We Then Live traces Western history from Ancient Rome until the time of writing (1976) along three lines: the philosophic, scientific, and religious. He also makes extensive references to art and architecture as a means of showing how these movements reflected changing patterns of thought through time. Schaeffer’s central premise is: when we base society on the Bible, on the infinite-personal God who is there and has spoken, this provides an absolute by which we can conduct our lives and by which we can judge society. Here are some posts I have done on this series: Francis Schaeffer’s “How should we then live?” Video and outline of episode 10 “Final Choices” , episode 9 “The Age of Personal Peace and Affluence”, episode 8 “The Age of Fragmentation”, episode 7 “The Age of Non-Reason” , episode 6 “The Scientific Age” , episode 5 “The Revolutionary Age” , episode 4 “The Reformation”, episode 3 “The Renaissance”, episode 2 “The Middle Ages,”, and episode 1 “The Roman Age,” . In the years since his death in 1984 it’s been interesting to watch and listen as people have claimed, explicitly or implicitly, to be carrying on the legacy of Francis Schaeffer. I am not including here those who continue to serve as Workers in L’Abri Fellowship, the study communities that grew out of the conversations and hospitality the Schaeffers offered a growing number of young adults who trekked to their chalet in Switzerland beginning in the mid-fifties. The work of L’Abri continues, and though the shape of that work in the various centers in Europe, America, and Asia has not remained static, it consciously and intentionally stands on the shoulders of Edith and Francis who walked that path originally. As someone who honors Francis Schaeffer as a mentor, I happily remember him as a teacher who invested untold hours in listening to my questions and discussing the world with its trends and ideas that help shape lives and cultures. I think—I hope—I learned from him, and want to try to faithfully put into practice the best that I learned from and saw in him. I have no illusions, on the other hand, of continuing Schaeffer’s legacy—that role is best assumed not by me but by those in L’Abri and by Jerram Barrs, Resident Scholar of the Francis A. Schaeffer Institute at Covenant Theological Seminary in St Louis. And I must say that as I have watched and listened as people active in conservative culture war politics claim Schaeffer’s legacy, I am not impressed. Here are three reasons. 1. Culture wars and worldviews. When James Davison Hunter published Culture Wars in 1992 he was reporting on a sociological reality, not issuing a call to political activism. Hunter is a careful observer of American society and understood that the divisions over economic, social, religious, and political issues arise primarily not due to pragmatic reasons or because people are uninformed, but because the American people hold widely differing worldviews that inform their views on the issues. This insight should have helped Christians concerned for truth and culture to remember what Schaeffer had insisted on all along, namely that everyone holds a world and life view, that challenging another’s worldview must be approached with compassion in an intentionally safe community where people love and care for one another, and that though the history of ideas is crucial for discussing worldviews, worldviews are far more than simply ideas that can be debated. Instead, conservative culture warriors claiming Schaeffer’s legacy have done the opposite: they ratcheted up their rhetoric in the public square, declared war to take back the culture, and started attacking liberals, secularists, environmentalists, and anyone else who dared question their conservative ideology and agenda as the ones against whom the worldview war must be fought. Just the opposite of what Schaeffer stood for, demonstrated, and taught. 2. Faithful citizenship and politicizing life. Throughout his life Schaeffer argued that because Christ is Lord of all, Christianity has something substantial to say into every sphere of life and reality. This included politics, so that unlike the earlier withdrawal from involvement in politics led by evangelical leaders after the Second Great awakening, Christians could and should see the call to politics as a legitimate vocation and fulfill their duty as citizens being motivated to seek the common good for all. Instead, conservative culture warriors have (along with more progressive believers) politicized life, making politics the central animating focus for seeking to change the world. One symptom of politicization is when people judge another’s moral integrity on the basis of their voting or party affiliation. As James Davison Hunter puts it in his latest book, To Change the World (2010), “the public has been conflated with the political” (p. 168). This in the end not only dismisses the richly nuanced nature of human existence and human society by reducing all spheres of life to the political, it is a practical denial of Christ’s Lordship. When Schaeffer called for Christians to be faithful as citizens he did so while calling them to be faithful across all of life and culture, and from that perspective only a tiny slice is in any way even remotely connected to politics. Another symptom of politicization is when the discussion of every societal or human problem rather quickly resolves into a discussion of politics. The political sphere of life has dignity and is significant, but in reality its scope is extremely limited. Over and over you have said that the purpose of raising taxes on the rich would be to stop deficit spending. However, if we took all the money away from the rich we still would not have a balanced budget. Don’t we need to stop the overspending? President Obama says his “Buffett Rule” — which imposes higher taxes on wealthy Americans and job creators — will help “stabilize our debt and deficits for the next decade.” But if you compare how much money his policy raises with how much he’d like to spend, you get a much different picture. The Buffett Rule would impose a minimum 30 percent tax on businesses and families earning $1 million. That would bring in $47 billion in revenue in ten years. Next to the President’s budget, which adds $6.7 trillion to the national debt, you can see that Obama’s answer to America’s budget woes isn’t much of an answer at all. Do the math, and you’ll find that the Buffett Rule would cover just 0.7% of all of Obama’s debt and .1% of Obama’s spending. As you can see, that’s a small drop in a very large bucket. Picture of Francis Schaeffer and his wife Edith from the 1930′s above. I was sad to read about Edith passing away on Easter weekend in 2013. I wanted to pass along this fine article below. Edith Schaeffer (nee Seville) has gone to be with the Lord at the age of 98. She was born on November 3, 1914 in Wenzhou, China, the child of missionaries associated with China Inland Missions. As a young adult she attended Beaver College in Glenside, Pennsylvania and it was there that she met Francis Schaeffer. The two were married in 1935. Francis subsequently attended Westminster Theological Seminary and went on to pastorates in Pennsylvania and Missouri. In 1948 the Independent Board for Presbyterian Foreign Missions sent the Schaeffers to Switzerland as missionaries. In 1955, after identifying significant disagreements with IBPFM and subsequently withdrawing from that organization, they decided to simply open up their home and make it available as a place to demonstrate God’s love and provide a forum for discussing God and the meaning of life. They called it L’Abri after the French word for “shelter.” By the mid-1950’s up to 30 people each week were visiting. Edith had an integral role in maintaining the home and mentoring those who visited. She wrote or co-wrote twenty books, including Affliction, a book on suffering, and the autobiographical The Tapestry: the Life and Times of Francis and Edith Schaeffer, each of which received the Gold Medallion Award from the Evangelical Christian Publishers Association (in 1979 and 1982 respectively). My parents were among the many young people who spent time at L’Abri. I will leave it to my mother to fill in the details. I think I have told you before of my first encounter with Edith Schaeffer, but I would like to do so again. It was the summer of 1972 and John and I were enroute to Toronto, via Geneva, after several weeks in Florence. We decided to travel into the mountains and visit L’Abri on our way home. We were barely converted, and were already trying to sort out various systems of theology. This seemed a good opportunity to investigate the Reformed alternative. We traveled up the mountain and got off the bus right in front of the Schaeffers’ door. Within a few minutes, Edith had introduced herself to us, and invited us to Sunday lunch. I was amazed that she had time for us, that she truly seemed interested in us in the brief minutes we had with her. But she truly won my heart with the following little incident. During our time in Florence we had met a young man who had just come from L’Abri. He assured us that Francis Schaeffer had told him confidentially that he did not believe men exercised their will truly and responsibly. God’s sovereignty overrode that. I outlined what he had said to Mrs. Schaeffer. She just shook her head, and called upstairs, “Fran, listen to what that dingbat, Bob, told these two.” I loved her on the spot. She was real! Within the next few years I read most of her books and grew to love her more and more. She taught me about the beauty of home and family. She modeled the wonderful and powerful virtues of Christian hospitality. And she was a good theologian in her own right. I think her “Bird’s Eye View of the Bible” is unequalled in its concise and user-friendly presentation of biblical theology. Her longer version of the same, Christianity is Jewish, is one of the most helpful books i have ever read. In other words, she and her husband presented the gospel by starting at the beginning of God’s truth—in Genesis—and following the story through to its end (and new beginning) in Revelation. I am convinced that, along with their own winsomeness, that is the reason so many people were converted under their ministry. Did they seek to take captive and destroy worldly intellectual strongholds? Yes, certainly. But always in order to make way for that beautiful gospel she—they—then presented so magnificently and simply. So, what can I say? I am in her debt now and forever. She was a faithful Mother in Israel and I am one of many rising up and calling her blessed. If you haven’t ever read a biography of the Schaeffer’s, let me suggest that you do so now. 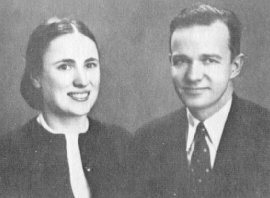 Francis and Edith Schaeffer by L.G. Parkhurst is written for a young audience and is just $3.99 for Kindle; so too is the Bite-Size Biography by Mostyn Roberts. Colin Duriez’s Francis Schaeffer: An Authentic Life is an excellent longer work. You can read Frank Schaeffer’s farewell to his mother here. The pro-life movement is filled with millions of people who truly care a lot about unborn babies. Take a look at this editorial cartoon. What Are the Dangers of Too Much Debt? Interest payments on U.S. government debt are three times spending in the Iraq and Afghanistan wars already, and that is with the lowest interest rate we have seen since the 1960s. A rise in interest rates would increase interest payments dramatically. What can the U.S. government do today to prevent a crisis from happening when interest rates go up? We got to cut wasteful spending out of the government and here is another fine suggestion from the Heritage Foundation. Consumer Product Safety Commission (CPSC). 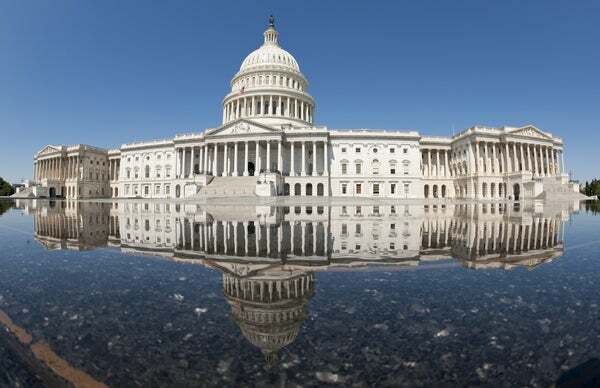 Unlike the budget passed by the House, the Senate bill seeks to restore government spending to fund the failed CPSC product safety database. CPSC decision making with respect to the database has previously been called “arbitrary and capricious” by the courts. Since it was implemented in 2011, manufacturers have shown that the CPSC database is seriously flawed. The database allows the public to submit unproven claims of harm with the CPSC and gives manufacturers only 10 days to challenge these claims; however, the CPSC itself has final authority to publish reports of such claims, even if they are disproved by the manufacturer. The accuracy of the CPSC reports is thus seriously questionable, and is a one-stop shop for tort lawyers seeking new clients or seeking “evidence” for their current lawsuits. Furthermore, last October, in Company Doe v. Inez Tenenbaum, a federal court in Maryland overturned a decision of the CPSC to publish a report as “arbitrary and capricious,” because the CPSC report was “misleading and fail[ed] to relate to the [manufacturer’s] product in any way.” Indeed, the CPSC database is a concrete example of government waste: It is a shame that the Senate bill seeks to restore government spending to publishing misleading claims that damage business growth and likely lead to additional frivolous lawsuits. 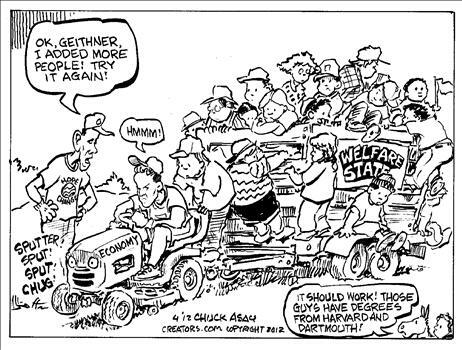 The third-most viewed post in the history of this blog, with more than 22,000 views, is this set of cartoons showing how the welfare state begins and how it ends. A similar theme can be found in this great new cartoon from Chuck Asay. And just in case you think Asay is being unfair, keep in mind that folks like Obama and Pelosi actually have claimed that more unemployment benefits is “stimulus.” Yes, you read correctly. Subsidizing unemployment is good for growth to these strange ideologues. Asay’s cartoon is so good that it may dethrone my previous top choice. Though sometimes I am most impressed by this one showing why parasites shouldn’t kill their host animal. I’d be curious to know which one all of you think is most effective. And since Asay’s work is almost always worth sharing, you can find more of my top picks here, here, here, and here. There are many people of low intelligence and many brilliant persons who do not put there faith in Christ and many others that do!!!! One of the brilliant believers is Dr. Henry F. Schaefer III and he tells his story below. I love the works of Francis Schaeffer and I have been on the internet reading several blogs that talk about Schaeffer’s work and the work below by Henry F. Schaefer III was really helpful. Schaeffer’s film series “How should we then live? Wikipedia notes, “According to Schaeffer, How Should We Then Live traces Western history from Ancient Rome until the time of writing (1976) along three lines: the philosophic, scientific, and religious. He also makes extensive references to art and architecture as a means of showing how these movements reflected changing patterns of thought through time. Schaeffer’s central premise is: when we base society on the Bible, on the infinite-personal God who is there and has spoken, this provides an absolute by which we can conduct our lives and by which we can judge society. Here are some posts I have done on this series: Francis Schaeffer’s “How should we then live?” Video and outline of episode 10 “Final Choices” , episode 9 “The Age of Personal Peace and Affluence”, episode 8 “The Age of Fragmentation”, episode 7 “The Age of Non-Reason” , episode 6 “The Scientific Age” , episode 5 “The Revolutionary Age” , episode 4 “The Reformation”, episode 3 “The Renaissance”, episode 2 “The Middle Ages,”, and episode 1 “The Roman Age,” . Professor Henry F. (Fritz) Schaefer is one of the most distinguished physical scientists in the world. The U.S. News and World Report cover story of December 23, 1991 speculated that Professor Schaefer is a “five time nominee for the Nobel Prize.” He has received four of the most prestigious awards of the American Chemical Society, as well as the most highly esteemed award (the Centenary Medal) given to a non-British subject by London’s Royal Society of Chemistry. He is a Fellow of the American Academy of Arts and Sciences. Moreover, his general interest lectures on science and religion have riveted large audiences in nearly all the major universities in the U.S.A. and in Beijing, Berlin, Budapest, Calcutta, Cape Town, New Delhi, Hong Kong, Istanbul, London, Paris, Prague, Sarajevo, Seoul, Shanghai, Singapore, Sofia, St. Petersburg, Sydney, Tokyo, Warsaw, Zagreb, and Zürich. For 18 years Dr. Schaefer was a faculty member at the University of California at Berkeley, where he remains Professor of Chemistry, Emeritus. Since 1987 Dr. Schaefer has been Graham Perdue Professor of Chemistry and Director of the Center for Computational Chemistry at the University of Georgia. I would like to take as my theme the title of a book by Michael Polanyi entitled The Way of Discovery. Polanyi was a well–known physical chemist in England who later became even better known as a philosopher. In The Way of Discovery, he makes the point that scientists are not robots, mechanically filling up notebooks with data and coming to inevitable conclusions. To put it another way, science is not just an exercise in advanced logical positivism. Rather, Polanyi argues, there is much of the artist in the good scientist, and he or she approaches the laboratory with a wealth of presuppositions and intuitions about how things should be. I can confirm Polanyi’s thesis with an example from my own research. In 1978, one of the most distinguished organic chemists in the world suggested that it was just a matter of time before someone would make the cyclopropyne molecule. Since cyclopropyne would contain a carbon–carbon triple bond in a three–membered ring, my own chemical intuition was very skeptical about such a suggestion. Guided by this presupposition, we were able to demonstrate that cyclopropyne does not involve a triple bond. One can find pieces of Polanyi’s thesis scattered throughout the philosophy of science. For example, Albert Einstein wrote in 1938 that, “Physical concepts are free creations of the human mind and are not, however it may seem, uniquely determined by the physical world.” So intuition and presupposition in science are by no means harmful, as long as they are continually refined in the dialogue with observation. Intuition and presupposition are necessary ingredients to discovery. I am a theoretical chemist by profession. Prior to my first involvement with Freshman Chemistry ten years ago, I had spent most of my time as a professor doing research in theoretical chemistry. My research consists of using mathematical equations and computers to understand the electronic structure of molecules. More specifically, we attempt to predict the shapes of molecules, their energetics, their spectra, and how they react with other molecules. From time to time, people actually do ask me “What is your most important discovery?” And I respond that the most important discovery in my life occurred during my fourth year on the faculty at Berkeley. This was not a time of professional turbulence in my life. Although I was still an assistant professor, I had been told that the chemistry department was going to recommend my promotion to tenure. Nor was it a time of personal turbulence, since I had already been married for seven years to the most wonderful woman in the world. At the time of this discovery, my students and I were doing some very interesting theoretical work on the identification of the interstellar molecules hydrogen isocyanide and protonated carbon monoxide. However, the most important discovery of my life was my discovery of Jesus Christ. In 1973, I discovered the Jesus Christ of history, the Jesus whose life is described on the pages of the New Testament. The Jesus I discovered 20 years ago was rather different from the one I had heard of as a boy in church. That Jesus was a well–intentioned, infinitely tolerant person who laid down some simple moral rules which all religions now embrace. The real Jesus bore some resemblance to the Jesus of my youth, but not very much. In particular the real Jesus sharply challenged the religious leaders of His time. And He claimed to be the only way to establish the relationship with God for which we were originally created, stating that all who claimed otherwise were thieves, robbers, and false prophets. The real Jesus was a very controversial person. I discovered that on a Sunday morning 1,960 years ago that Jesus rose physically from the dead. I discovered that the resurrection of Jesus is not only historically true, but that it’s one of the best–attested facts in all of ancient history. If you haven’t made this discovery yet, I would strongly encourage you to examine the evidence carefully. A good summary of the evidence for the resurrection is given in Frank Morrison’s book, Who Moved the Stone? I discovered that when the apostles spoke of Jesus being the Son of God, they didn’t mean that God was His Father in some vague and undefinable way. Jesus’ closest companions meant that He was God the Son. Jesus Christ, the carpenter from Nazareth, was and is God almighty. I discovered that I could know for certain that I have a relationship with God forever. Now this may strike some of you as a terribly arrogant statement. And it would be if it were based on anything I had done. But I’m going to spend eternity in relationship with God because Jesus died on the cross for my rebelliousness and disobedience. It is not because of anything I’ve done, but in spite of everything I’ve done. We affirm that God in His work of inspiration (of the Bible, that is) utilized the distinctive personalities and literary styles of the writers who He had chosen and prepared. In this context, my personal opinion is that the universe is probably 15–20 billion years old. I am convinced that such a view is completely consistent with the teaching of the first chapter of Genesis. For those of you who want to go into this matter in depth, I recommend James Montgomery Boice’s commentary on the first eleven chapters of Genesis. I discovered that I could share my new–found faith in Jesus Christ with friends and with strangers. I discovered that most of the questions that people have about Christianity boil down to about ten distinct questions, and that there are intellectually sound answers to all ten. One of my most interesting experiences occurred about 15 years ago. My wife, Karen, and I went with a friend to a visit a husband and wife who had visited our church. We should have expected something unusual because this couple was only about 25 years old and they lived in a $250,000 house. Furthermore, the man who answered the door was about 6’8″ tall. As we sat around getting acquainted, I asked Tom where he and Susie had moved from, to find that they had just moved up from Los Angeles. When I asked what kind of work Tom did, he replied that he was in professional sports. I was still oblivious to all this and so was Karen, but fortunately the third member of our party recognized that we were talking to the starting forward for the Golden State Warriors [professional basketball team] and blurted out, “Oh, so you’re that Tom Abernathy!” The best part of that evening was the ending. An hour after that awkward introduction, Tom and Susie Abernathy received Jesus Christ as their Savior and Lord. I discovered that there is no problem too heavy for Jesus. Fourteen years ago, I spent several months at the University of Texas. On a Sunday morning (December 9, 1979, to be exact) I had just returned from church and was tidying up a few things in my office in Austin. My wife called and told me that our five–month old son Pierre had just died of crib death, or sudden infant death syndrome. Whatever illusion I had that life was just a bowl of cherries disappeared forever in that instant of time. Without going into the details, I can stand here tonight and tell you that never before nor since have I been so overwhelmed with the certainty of the love of my heavenly Father. There is no problem in your life that Jesus can’t bring you through. I discovered that life with Jesus begins at the moment of conversion, [through] death, and then on to eternity. Jesus isn’t only interested in extracting a prayer of submission from me. He wants to change my whole life. That’s a tremendous challenge. Finally, I discovered that the intellectual challenge to fully understand the depths of the Christian faith is quite comparable to that required to plumb the depths of molecular quantum mechanics. I’ve been at it in earnest for over twenty years and haven’t come close to exhausting the wealth of 20th century Christian intellectual writing. Almost anything written by C.S. Lewis is good—my advice is to read it all. If you want to understand existentialism, read Francis Schaeffer. A book to start with is, The God Who Is There. If you like biography and history, as I do, read Arnold Dallimore’s two volumes on the great evangelist George Whitefield. I’ve read a lot of biographies and Dallimore’s Whitefield is the best. If you want to concentrate on Bible Study and have gone through the lighter commentaries, check out Martin Lloyd–Jones’ eight volumes on the Apostle Paul’s Letter to the Romans. Lloyd–Jones speaks with authority to both the intellect and the heart. And finally, if your passion is theology, make an investment in Carl F. H. Henry’s six volumes of God, Revelation, and Authority. I think Carl Henry is the most outstanding theologian of this generation. His wisdom overflows each of these volumes. I don’t want to leave without reminding you that there are many spiritual counterfeits today. If you don’t have a church of your own, look for one that is centered on Jesus Christ and based on the Bible. First, he asked her, first, did she believe that God existed—God as clearly revealed in the Bible, who is infinite and yet can be know personally? Second, did she recognize that she was a sinner in light of God’s standards? Third, did she believe that Jesus Christ truly came in space, time, and history? And fourth, would she bow to Him and accept what He, Christ, did for her individually by taking her deserved punishment on the cross? Copyright © 2001 by Henry F. Schaefer III. All rights reserved. Evangelical leader Ken Ham rightly has noted, “Most of the founding fathers of this nation … built the worldview of this nation on the authority of the Word of God.” I strongly agree with this statement by Ham. In June of 2011 David Barton of Wallbuilders wrote the article, “John Adams: Was He Really an Enemy of Christians?Addressing Modern Academic Shallowness,” and I wanted to share portions of that article with you. At WallBuilders, we are truly blessed by God, owning tens of thousands of original documents from the American Founding – documents clearly demonstrating the Christian and Biblical foundations both of America and of so many of her Founding Fathers and early statesmen. We frequently postoriginal documents on our website so that others may enjoy them and learn more about many important aspects of America’s rich moral, religious, and constitutional heritage that are widely unknown or misportrayed today. Modernism is the practice of analyzing historical incidents and persons as if they lived now rather than in the past. Modernism separates history from its context and setting – a practice that regularly produces flawed conclusions. This is no attempt to defend the inexcusable twenty-seven deaths, but it is undeniable that the so-called “intolerant” conduct of the Puritans was light-years ahead of their “enlightened” contemporaries throughout the rest of the “civilized” Old World of Europe. As early church historian Charles Galloway affirmed, when the Puritans “are compared to their brothers in England and all Europe, they stand out as reformers of the most advanced and majestic type.” 11 To accurately portray historic events and individuals (whether it is the Puritans or John Adams), their words and actions must be measured not by today’s thinking and customs but rather in light of what was occurring in their own times – which is what Pinto does not do. Recall from above that in Pinto’s analysis of this section he claims that Adams . . .
Is Pinto correct? Was Adams mocking Christians and the Holy Ghost? Absolutely not – which will be irrefutably proved below. But the fact that Pinto believes that Adams is insulting Christians and the Holy Spirit demonstrates not only that he employed Modernism but also the second device of historical malpractice: Minimalism. Over and over in Proverbs you hear the words “fear the Lord.” In fact, some of he references are Proverbs 1:7, 29; 2:5; 8:13; 9:10;14:26,27; 15:16 and many more. Below is a sermon by John MacArthur from the Book of Luke on 3 reasons we should fear the Lord. 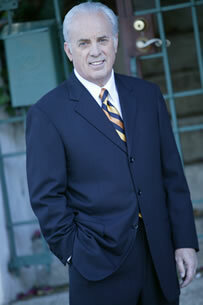 In today’s lesson John MacArthur talks about faithfully teaching our sons by example and precept. I know that there were times that I read Bible verses to my children about controlling your temper and then they would see me lose mine. I would tell them what the word of God says but I would fail to live it out in my life. I hope to become more faithful so my kids can both see what I say and what I do and they will know that they both match up. I remember hearing Dr. Adrian Rogers say that if he had to do it over again he would read from Proverbs every day to his kids. They turned out to be great kids and they were raised right. Nevertheless, if he had to do it over again he thought a more emphasis on Proverbs is the way to go. That is why I am spending so much time in Proverbs with my kids today. John MacArthur does a great job on Proverbs and here is a portion of his sermon on Proverbs. This is Father’s Day and a fitting time to speak to that father that is here in our fellowship in our congregation this morning. As a father myself of four children, these are lessons that I will share with you out of the Word of God that have been very precious to my own heart as well. I don’t get an opportunity very often, nor do I take it, to focus direction on fathers and so I want to do that this morning. One little boy’s definition of Father’s Day went like this, “Well, it’s just like Mother’s Day only you don’t spend so much.” Well we fathers can concede that. Someone said, “A father is someone who carries pictures where his money used to be.” And the phone company tells us that calls on Father’s Day are not as high in number as calls on Mother’s Day and most of them are collect. Well Father’s Day is, for those of us who are fathers and who have the privilege of having loving children, a very special time. I know on this particular Father’s Day I’m missing three of mine for the first time that I can recall, they’re all gone but one. It’s still nonetheless a special joy to see what God has wrought in the life of your children and to enjoy some of the sweet fruit of His grace in their lives. Being a father has always been a high priority for me…not only because it was for my father and his father but because of what the Word of God has to say. Unfortunately that high priority role of the father is being systematically attacked and destroyed in our culture. This particular society in which we live has attacked the male role with such devastating force that I really do believe we have sentenced the next three or four generations to tragic experiences of disastrous proportions because if one thing is clear in Scripture it is this…the sins of the fathers are visited upon the third and the fourth generations. What that means is, where you have wicked men in leadership, where you have a decline in the father’s role, it takes three or four generations to root out the evil that they produce. We are not looking at a situation where because of a sinning father three or four generations of son…of sons will pay the penalty. Not at all. Ezekiel 18 forbids that in advocating individual responsibility. But what we are seeing is that because fathers lead a nation, a wicked generations of fathers will so impact that nation for three or four generations that it takes that long to root out their wicked effect. I believe that the legacy of this generation of fathers is tragedy upon tragedy upon tragedy in the following generations. In the plan of God, however, that’s not the way it’s supposed to be and certainly in the church we should be following that plan. Whatever may be happening in the society around us, we should be ensuring a righteous generation in the church. We have a responsibility as fathers to our sons particularly…sons who tend to be for the most part more rebellious than daughters because they are the ones given by God leadership roles and capacities. If we will faithfully teach our sons, they will by example and precept lead the women as well. Where you have a plurality in the nation of godly fathers, they will impact the mothers. And where you have godly sons, they will impact the daughters of the next generation. And so the high priority of Scripture then is that fathers teach their sons…and thus raise up a generation of godly leaders. Because God has ordained this and because God wanted us to be sure that it was followed carefully, God by the inspiration of the Holy Spirit gave a manual for fathers to use on their sons. A basic research book, that book is the book of Proverbs and I want to invite you to turn to it if you will right now and we’re going to be looking at the first ten chapters of Proverbs in a very general sense. And so it goes that this entire passage is designed for a father to teach his son. As fathers go, so go nations…so go generations…so goes history. And so God took the principles, the basic principles of spiritual living and packaged them in the 31 chapters that we call Proverbs. Now a proverb is very simple. It is a principle stated in concise terms. We could say a proverb is wise in content, and concise in form. It is a brief to the point pithy statement for the purpose of instruction…brief to the point that they might be remembered. What you have in Proverbs then is a compilation of these concise wise statements. This then becomes the basic book of truth that fathers use to teach their children, a book of wisdom. And frankly, if fathers are to raise a generation of godly men who will lead the women to godliness, they must teach the truths that are mandated in this father’s manual. Frankly, just to depart from that a moment, there’s a lot of instruction available today for fathers to teach their sons, much of it even in a Christian context, that is pretty much trivial. Much of today’s instruction is…to be a friend, listen to your son, go places with your son, take him to a ball game, have fun, follow his interests…etc., etc. What Proverbs has to say is much deeper than that. Teach your son trivial things, you’ll raise a trivial father who will teach his son trivial things. Teach your son deep things, you’ll raise a son who becomes a father who teaches his son deep things. So the primary duty of a father is not what one little boy said…”The primary duty of my dad is to take out the trash.” The primary duty of a father is not even to bring home the bacon. The primary duty of a father is not to fix what’s broken. The primary of a duty of a father is to teach holy living to his sons…and, of course, to his children as well including the daughters…but primarily the sons. I love the works of Francis Schaeffer and I have been on the internet reading several blogs that talk about Schaeffer’s work and the work below by John Fischer was really helpful. Schaeffer’s film series “How should we then live? Wikipedia notes, “According to Schaeffer, How Should We Then Live traces Western history from Ancient Rome until the time of writing (1976) along three lines: the philosophic, scientific, and religious. He also makes extensive references to art and architecture as a means of showing how these movements reflected changing patterns of thought through time. Schaeffer’s central premise is: when we base society on the Bible, on the infinite-personal God who is there and has spoken, this provides an absolute by which we can conduct our lives and by which we can judge society. Here are some posts I have done on this series: Francis Schaeffer’s “How should we then live?” Video and outline of episode 10 “Final Choices” , episode 9 “The Age of Personal Peace and Affluence”, episode 8 “The Age of Fragmentation”, episode 7 “The Age of Non-Reason” , episode 6 “The Scientific Age” , episode 5 “The Revolutionary Age” , episode 4 “The Reformation”, episode 3 “The Renaissance”, episode 2 “The Middle Ages,”, and episode 1 “The Roman Age,” . 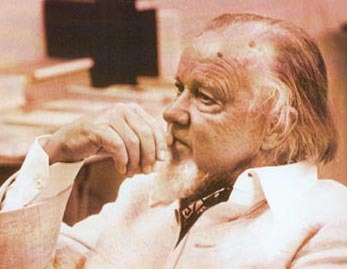 A few years ago I wrote an article in Christianity Today about the late Francis Schaeffer. Today’s Catch is edited from that article because I believe the sensitivity he modeled is much needed today in this mean-spirited, take-sides culture that only stands to get worse in America as a Presidential election approaches. True followers of Christ need to avoid joining in the bashing, and here is a good reason why. He was a small man — barely five feet in his knickers, knee socks, and ballooning white shirts. For two weeks, first as a freshman, and then again as a senior, I sat in my assigned seat at Wheaton College chapel and heard him cry. He was the evangelical conscience at the end of the 20th century, weeping over a world that most of his peers dismissed as not worth saving, except to rescue a few souls in the doomed planet’s waning hours. Francis Schaeffer was hard to listen to. His voice grated. It was a high-pitched scream, and when mixed with his eastern Pennsylvania accent, resulted in something like Elmer Fudd on speed. As freshmen, unfamiliar with the thought and works of modern man, we thought it was funny. As seniors, it wasn’t funny any more. After we had studied Kant, Hegel, Sartre, and Camus, the voice was now more like an existential shriek. 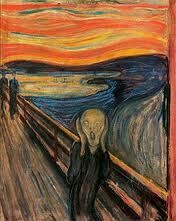 If Edvard Munch’s The Scream had a voice, it would sound like Francis Schaeffer. Schaeffer, who died in 1984, understood the existential cry of a humanity trapped in a prison of its own making. Schaeffer was the closest thing to a “man of sorrows” I have seen. He could not allow himself to be happy when most of the world was desperately lost and he knew why. He was the first Christian I found who could embrace faith and the despair of a lost humanity all at the same time. Though he had been found, he still knew what it was to be lost. Schaeffer was the first Christian leader who taught me to weep over the world instead of judging it. Schaeffer modeled a caring and thoughtful engagement in the history of philosophy and its influence through movies, novels, plays, music, and art. Here was Schaeffer, teaching at Wheaton College about the existential dilemma expressed in Michelangelo Antonioni’s 1966 film, Blowup, when movies were still forbidden to students. He didn’t bat an eye. He ignored our legalism and went on teaching because he had been personally gripped by the desperation of such cultural statements. Schaeffer taught his followers not to sneer at or dismiss the dissonance in modern art. He showed how these artists were merely expressing the outcome of the presuppositions of the modern era that did away with God and put all conclusions on a strictly human, rational level. Instead of shaking our heads at a depressing, dark, abstract work of art, the true Christian reaction should be to weep for the lost person who created it. Schaeffer was a rare Christian leader who advocated understanding and empathizing with non-Christians instead of taking issue with them. The normal human reaction is to hate what we don’t understand. This is the stuff of prejudice and the cause of hate crimes and escalating culture wars. It is much more Christ-like to identify with those we don’t understand — to discover why people do what they do, because we care about them, even if they are our ideological enemies. Anyway, Jesus asked us to love our enemies. Part of loving is learning to understand. Too few Christians today seek to understand why their enemies think in ways they find abhorrent. Too many of us are too busy bashing feminists, secular humanists, gay activists, and political liberals to consider why they believe what they do. It’s difficult to sympathize with people you see as threats to your children and your neighborhood. It’s hard to weep over those whom you have declared as your enemies. Perhaps a good beginning would be to more fully grasp the depravity of our own souls, and the depth to which God’s grace had to go to reach us. I don’t think you can cry over the world if you’ve never cried over yourself. To be sure, Francis Schaeffer’s influence has declined in recent years, as postmodernism has supplanted the modernity he dissected for so long. Schaeffer is not without critics, even among Christians. But perhaps, in the end, his greatest influence on the church will not be his words as much as his cry. The same things that made Francis Schaeffer cry in his day need to make us cry in ours. Obama acts like the Sequester cuts would bring the world to an end!!! Do governments ever cut spending? According to Dr. Stephen Davies, there are historical examples of government spending cuts in Canada, New Zealand, Sweden, and America. In these cases, despite popular belief, the government spending cuts did not cause economic stagnation. In fact, the spending cuts often accelerated economic growth by freeing up resources for the private sector. You don’t enjoy many victories when you fight for liberty, so I’m not averse to spiking the football on those rare occasions when we win. That’s why I shared this very funny cartoon last week to celebrate Obama’s belly flop on gun control. Now we have another cartoon, this one by Henry Payne, mocking the Administration’s shameful effort to force a tax increase by deliberately making air travel less convenient. No wonder the President is behaving in such a petulant fashion. 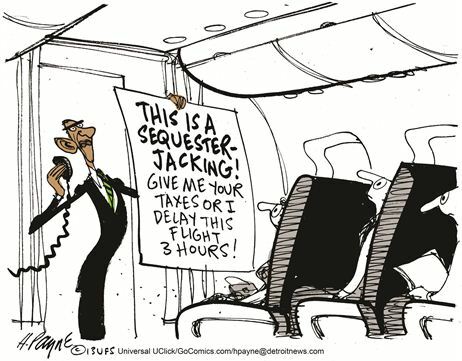 The sequester is an embarrassing defeat for Obama and other proponents of bigger government. He thought he could bully Republicans into a class-warfare tax hike. Now he’s resorting to pathetic gimmicks. And he lost on that issue now that Congress has made explicit that the FAA has authority to reallocate funds. Let’s not just spike the football. Let’s do a dance in the end zone. Sequester did not hurt job growth!!!! !